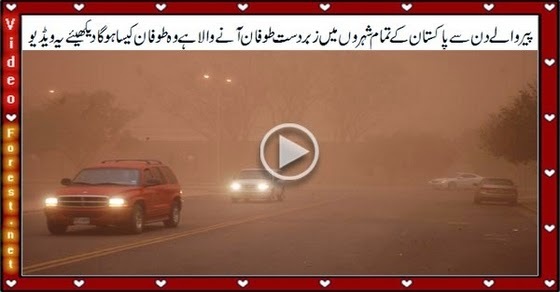 Pakistan Weather forecasting department issued an advance warning of dust storm which might be hit all major cities of Pakistan. Dust storm will also takes heavy rain along with him. Weather department said it may be less visibility due to dust storm in upcoming days.